Split roll tax is among the biggest threats to retail property owners, according to Rex Heim at ICSC this week. 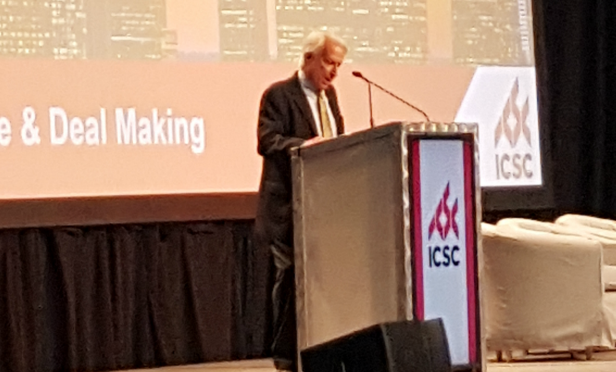 There was tremendous positivity at ICSC Western States in Los Angeles this week about the state of the retail market, but there are proposed regulations and legislation that could impact retail owners. At the conference, Rex Heim, president and CEO at the California Business Properties Association, talked about the government regulations impacting retail owners and operators, naming split roll property tax as one of the biggest threats to retail owners. Earlier this year, non-profit Housing California collected and submitted enough signatures to rollback Proposition 13, current property tax legislation passed in 1973 and limited property tax increases to 1% to 2% per year on all property types. Currently, commercial properties have the same protections as single-family residences, and the current proposed rollback of Proposition 13 would tax commercial and industrial properties at fair market value. The proposal has been approved for the 2020 ballot. Real estate brokers and salespeople wanting to fight global warming as part of their business practices are encouraged to sign up for the full-day course held next month.